Some parts of it are silly and some are serious. But when I think of it, I think, "That book's got soul." Anyway, Jacob asked me some questions about the book (which led to me turning the tables on him) and I thought you might like to listen in. Alysa: It is a series of essays about motherhood, being a woman, and living in New York City and . . . taking yourself seriously. Jacob: What do you mean by that? Alysa: Well, the book encourages you to take yourself seriously. It's also kind of silly at times, but the best essays are the serious ones, in my opinion. For instance, she talks about trusting yourself as a mother, helping your husband get through a tough time, being happy and present in your life. Jacob: Okay. What was your favorite essay? Alysa: My favorite was the one where she talked about Brandon having a nervous breakdown. It's titled On Grooves and has a section called "How to Beat the Blahs." As you know, I experience The Blahs with some regularity. So does Natalie, but her husband Brandon doesn't. And . . . so he did, and it really threw him for a loop. And she's like, "Oh I know exactly what to do." It was a vulnerable essay, and it helped me step into her shoes and imagine what that would be like for me. It was great. Jacob: "The Blahs" here being a euphemism for mild depression? Or no? Jacob: Chad Orzel did a post recently about how blogging has helped him past his mild depression. he linked to a blog post about having high functioning depression, where everyday tasks are a chore, but not impossible. Alysa: That sounds really interesting. Alysa makes a mental note to find the link. Alysa: Ok, so, let me tell you more about the book. There are pictures. Jacob: They're all taken by Natalie, right? Jacob: Oh! Who took the other ones then? I know she does like to take pictures right? Alysa: Yes. She does; and she took a lot of the photos, but there are also photos by Lesley Uhruh, Emma Kepley and Justin Hackworth (whose Instagram I love). Alysa: So, some of the stuff I had read before. Some of it is taken from posts on her blog. Jacob: So you could link to some of those as examples of what the book is like. Some of your favorite ones. Jacob: Why should someone read this book? I was going to say "Why should I read this book," but I've already read parts of it. Alysa: What did you like about it? Jacob: I read a few chapters . . . I liked just hearing, or, reading, a different perspective on life. Alysa: She doesn't seem very much like you, to me. Jacob: First of all she's a woman. Secondly she is living in New York City. She cares much more about interior design than I do, considering I care very, very little. And about clothes, same thing. But it was very well written, and interesting to read. I didn't feel like it was a waste of my time or anything. Jacob: No typos or odd phrasing that throws you out of the groove. Alysa: Right. And there is plenty of soul that draws you in. Alysa: Did it make you laugh? Jacob: Yeah parts of it definitely did. Alysa: I think it's interesting to hear your take on it, because you DON'T read her blog. Jacob: I'm not the target audience. In a deep voice I'm a man. Jacob: Ok, so why should someone read this book? Alysa: You should read this book if you want to see things from a new perspective, or if you want encouragement in motherhood. If you want some mom-spiration. Or, if you're thinking about writing a memoir or about your own life experience. She does a really good job of that. So there you have it! I edited the transcript of our conversation lightly, in case you were wondering. 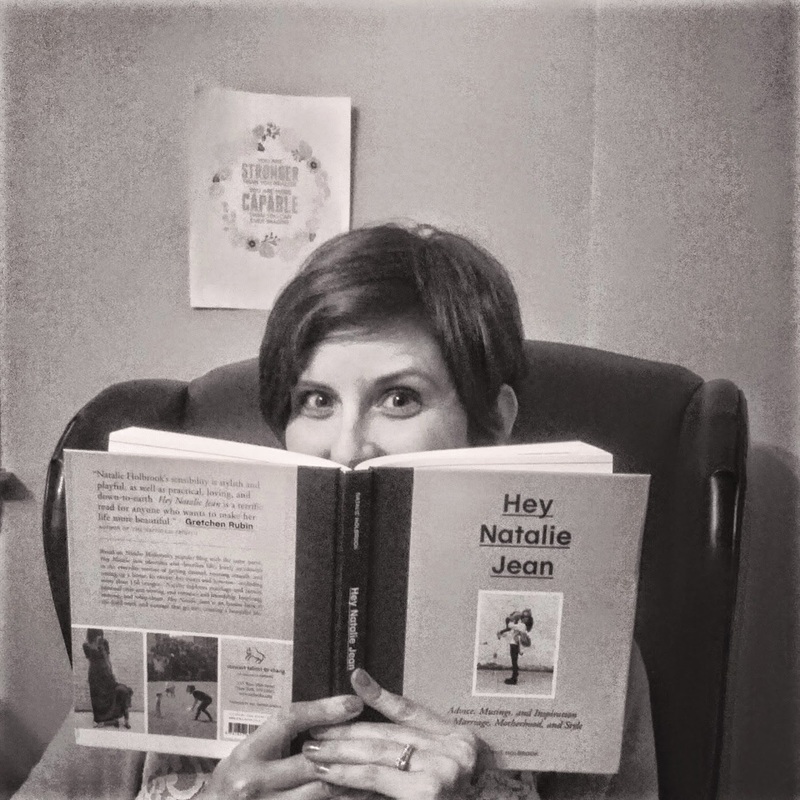 Hey Natalie Jean is available for purchase, and I'm glad I have a copy -- I requested one from the publisher and received it with the understanding that I would review it. (Of course I would!) Anyway here are affiliate links, in case you'd like to shop for it. 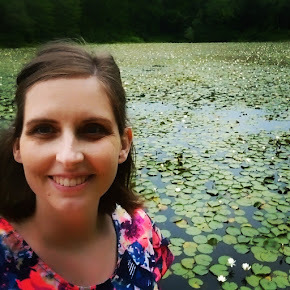 *plus also because her voice reminded me of my sister, who I missed terribly because she was serving a mission in the Czech Republic at the time. AND because once I found out her maiden name was Lovin I discovered we had lived only a block or two apart, back in Mesa, and our moms had known each other. I even played at her house once. And I remember it was immaculate and that her mom made me "cheep like a birdie" for a treat -- which was totally humiliating at the time, but which torture I have since inflicted on many a young child. So fun.